This Advance Excel training program in Karachi & Pakistan is highly specialized with the duration of 16 Credit hours, where this Advance Excel training covers all the major areas of Financial Formulas, excel reporting, Advance Excel with Financial Formulas, Pivot Table, HLookup, Vlookup, what if Analysis functions, financial modelling with excel, Advance excel with statistical formulas etc. Like After this training program you can be able to do work on and play the features of advance level of excel with all related formulas. The training of advance excel in Karachi and advance level training in Pakistan and Advance Excel Course in Pakistan and Karachi at 3D EDUCATORS - TRAINERS & CONSULTANT in the consultation with high end trainers and consultants. 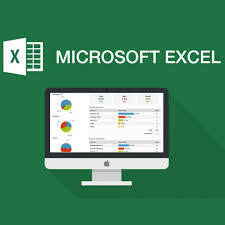 The training program also give the chance to participants that they can do LABS on live environment on Microsoft Excel. 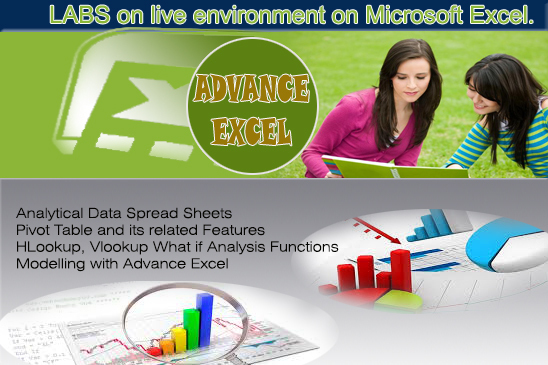 The application of Advance Excel is the core requirement of industries and good organizations. Without having the expertise on this area, it would be very difficult to develop and devise the required reports from the stakeholders. 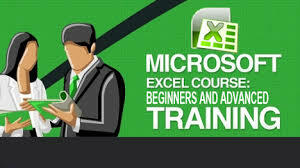 The program helps in your professional cadre and career and enhance your skills related to MS Excel Advanced. Mr. Saifullah has almost 5 year professional experience of preparing Financial & Costing models in Excel, implementing Accounting ERP (Peachtree Quantum 2010) & designing Accounting Systems. Mr. Saifullah is an expert in Excel and has prepared various models in Excel i.e. Payroll Model, Lease V/S Buy Model, Loan Amortization Schedule with What-if Analysis and the famous one is Tax Withholding Calculator which automatically calculate the amount of Income Tax withholding as well as Sale Tax withholding. Mr. Saifullah is conducting Training Workshops on Excel for students & members of Institute of Cost & Management Accountants of Pakistan (ICMAP) where he has trained many professionals from various organizations. 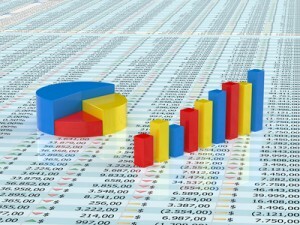 "The participant must have the knowledge of excel and understanding of good computer operational skills and also knowing about the financial formulae. Because this advance excel course is based on financial aspect and covering the financial formulas. " The Program will be suitable for professionals and who would like to enhance their skills in the area of advance level of Microsoft Excel. After this Advance Excel training the candidate may able to work in the professional environment and able to work on advance excel spread sheet. The following people can attend the program. In early decades of 20th century, to get the Job in open market is not the problem and every person after their graduation may have got the job in very easiest way. But in the 21st Century, it is a big task to first get the Job and after getting the job,it is more difficult to retain and upgrade your jobs. Now there is only one solution to retain and get the jobs in the professional market is to have the international certifications. 3D EDUCATORS is one of the training and development company that helps to develop and enhance your career and to provide the opportunity to train & update yourself according to market and its requirement. As mentioned above the certifications are most important part now in the professional world. Especially in the field of IT, you cannot survive, if you don't have got the International Credentials with you. All big organizations Offer the different Certifications that accredited you in the professional world. 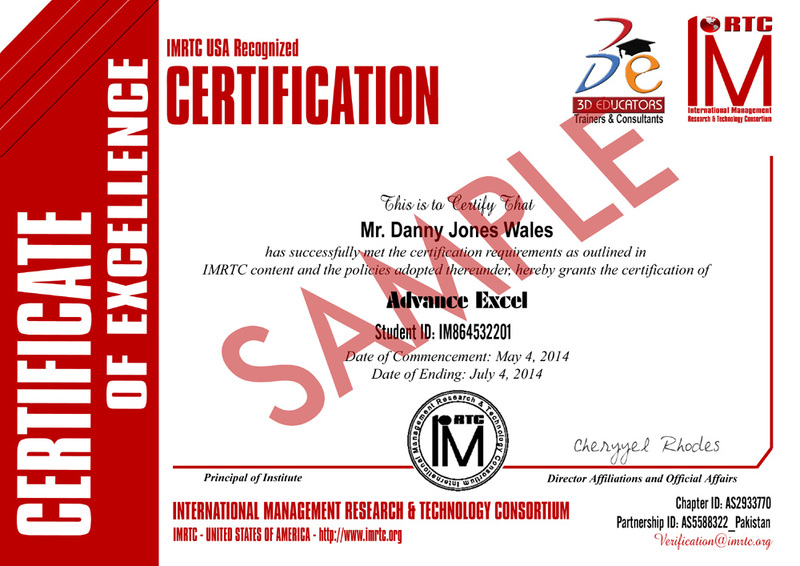 This is further clarify that Advance Excel Certification Shall be finally given by the International Body from USA IMRTC - International Management Research and Technology Consortium. The Certification holds the unique identity of the candidate, which can be verified through their official website http://www.imrtc.org.